When you want to lose weight, the first thing that comes to your mind is probably lacing up your sneakers and going for a run. But unfortunately, running is not for everyone. I mean, this can cause damage to the knees and some people have asthma or other breathing difficulties. And that’s why I decided to look for some great workout alternatives that don’t require running at all. These are fitness options that will tone your muscles, get you in shape, and even burn more calories. So tag your workout buddy and check them out below. Let me know what you think! If you think that jumping rope is just for kids, then think again. It’s a simple and effective exercise that helps you burn calories fast. It’ll challenge your balance and coordination and let your whole body engage. Try to jump higher over the rope and the more calories you’ll burn. Working everything from your shoulders to your chest up to the glutes and hamstrings, this exercise will help you burn more calories. Because the kettlebell is shaped like a small bowling ball with a handle, it creates stability that forces core muscles to engage more than with a traditional barbell or dumbbell. Biking doesn’t just make you feel adventurous, but super fit too. When you bike at a fast speed, your heart rate will spike, and you’ll not only be strengthening your body but your heart as well. The calorie burn goes up even more when you add in some mountainous terrain and hills. A workout that requires squats, push-ups, jump up and clapping your hands above your head, burpees are the perfect strength training exercise. It takes your body to a full range of motions requiring a lot of energy in a short period of time resulting in burning more of fat. Dancing is a great way to have fun, get your heart rate up, and get rid of extra body fat. All you have to play your favorite songs or take a class, show your moves, and engage all those muscles. If you want to utilize the muscles in your arms, legs, and back, an efficient stroke of rowing is the best solution. The higher the intensity of the workout, the more you burn. It’s one of the most intense, and effective exercises you can add to your routine. One of my most favorite fitness alternatives, swimming, works well in burning calories. It involves your entire body but also puts less stress on your joints. With the overall connection of your legs, arms, and core, this is a great start to calorie burning because of muscle engagement. 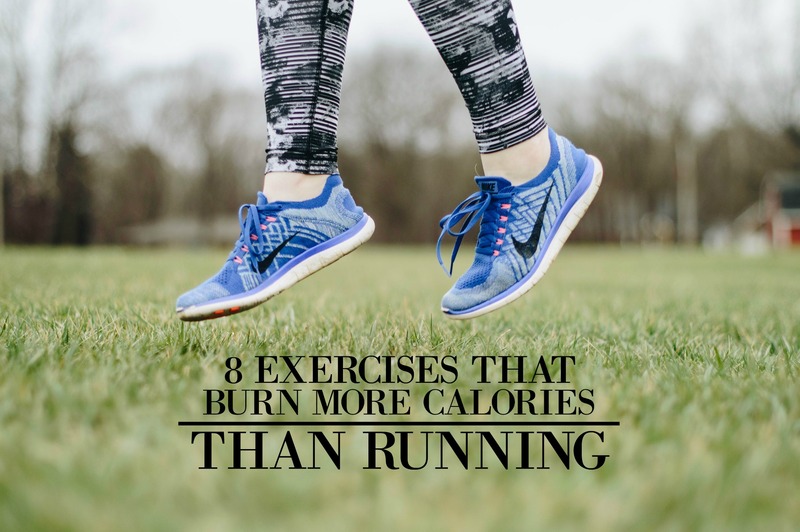 Now, what are your favorite exercises that burn more calories than running? Feel free to tell me about them below, I’d love to hear from you!